a celebration to women's leadership. C37 helped Tec de Monterrey represent the power and importance of women in the industry by creating the presea, Mulier Amet, award for Mujer Tec. 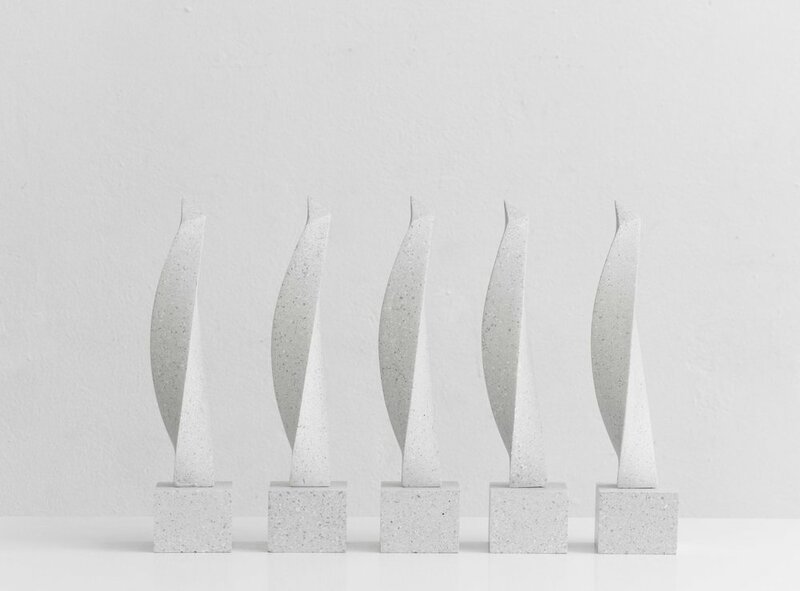 Mulier Amet commemorates the innovative women through the innovation in materials, consisting on a design sculpture made with Magma® The New Liquid Stone. an innovative material THAT DEFy THE status quo. This unique material looks and feels similar to basalt stone, but with new and unique properties. It is made of two-thirds natural minerals and a low percentage of high-resistance polymers. This composition gives Magma® a number of exclusive features: it is highly resistant, lightweight and beautiful. The formula is conceived in a semi-liquid state allowing the material to be casted in a mold to create complex, precise and fast production products impossible to achieve in stone. After casted you can cut it, perforate it and engrave, similar to wood. 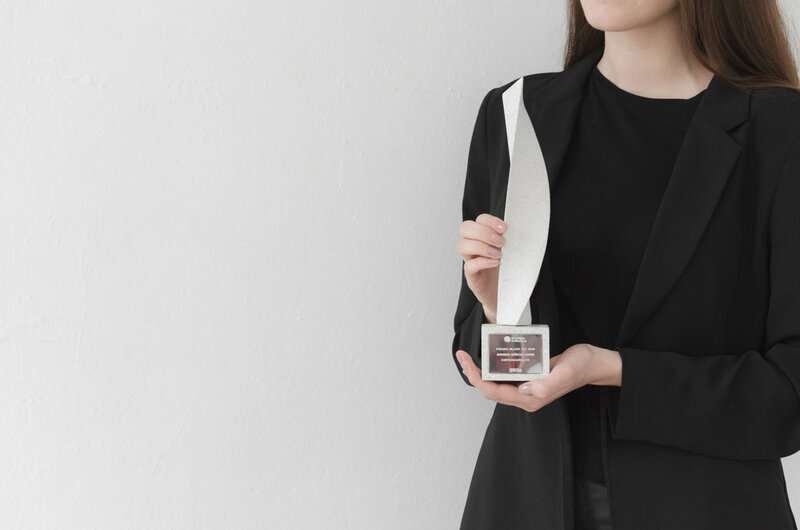 To recognize the trajectory of women in the industry during the International Women's Day, Tecnológico de Monterrey rewards the achievements of women in the institution by The Women's Tec Award. The project is led by the Department of Women and Business which supports the professional development of women through information about organizations and institutions that help them plan and carry out their professional, personal and family careers. 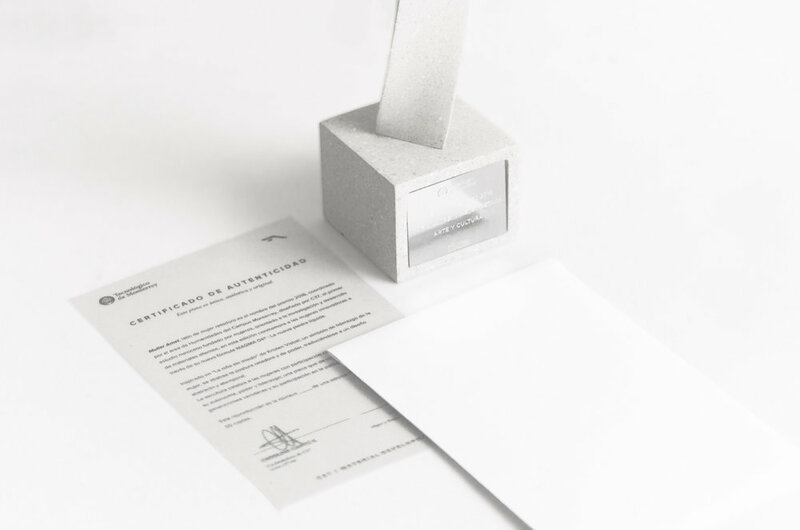 Mulier Amet, Latin for Challenging Woman, is the name of the 2018 award, coordinated by the Humanities area of the ITESM university, designed by C37. In this edition commemorating innovative women through their new formula Magma ®: The new liquid stone. Aiming to design a piece that celebrate women in the institution, Mulier Amet is a sculpture that represents women as a catalyst for change. A piece that celebrates them as autonomous and powerful and leaders, with key participation in their community, made with the first material belonging to the library of the studio C37: Magma ®, the new liquid stone. The design is inspired by "The girl without fear" by Kristen Visbal; A symbol of women's leadership, the challenging and empowering position of the girl is abstracted, translating into an abstract and timeless design. The lines are strong and ascending. generations and their participation in politics, economy and society. autonomus and strong, made with the liquid stone. To represent the autonomous, dynamic and in constant movement women. The moving shapes were completed after a process of industrial design, 3D printing, molding and casting. The use of the new Magma ® in white represents the innovation and the weight of the women in a unique and collectable design piece. Unlike stone, Magma® can be casted in a mold to create infinite products in a shorter amount of time (in contrast to the extensive artisanal carving process of the traditional Basaltic stone). Tec de Monterrey hired C37 Studio to create an exclusive design for Premio Mujer Tec made with Magma® in the color Ceramic. Production took 3 months to be completed. 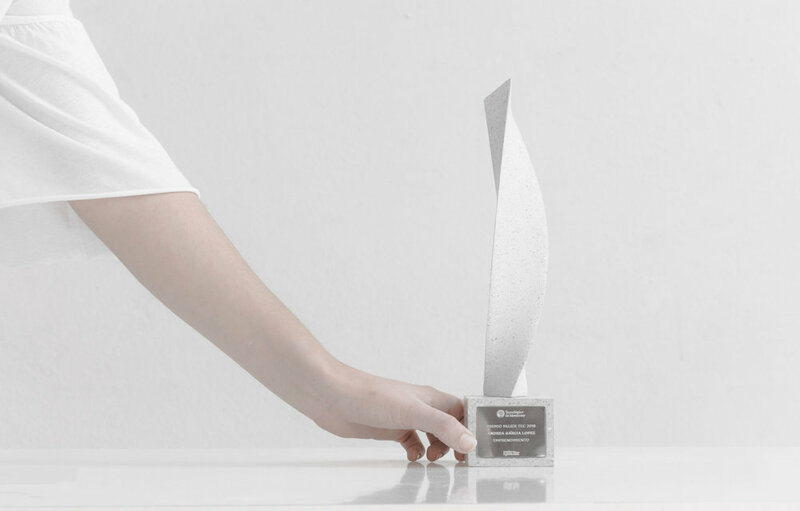 The first edition of Mulier Amet was granted at Premio Mujer Tec, awarding the first 20 women. This year, Mujer Tec granted Mulier Amet to this years winners during women's day, the 8th of March. In Mexico, woman earn 30% less than men. Of the women in management positions in Mexico, 18% work as Chief Financial Officer, 14% as Corporate Controller, 12% as Chief Marketing Officer, and 4% as CEO, according to data gathered by CIMAD. WE HAVE A LONG WAY TO GO FOR GENDER EQUALITY. WHAT CAN WE DO TO BREAK THE GENDER GAP IN THE INDUSTRY? Get in contact with the team and get started today!